Ask Kate About Beer: What’s the best way to pack beer for air travel? DrinkeryDrinkery is The Takeout’s celebration of beer, liquor, coffee, and other potent potables. Hi Kate: I’m traveling home this month, and I’m planning on bringing a bottle of beer in my checked luggage (an Alesmith barrel-aged and cellared wee heavy, thanks for asking!). I’ve packed wine and rum before, but not beer. A quick Google search seems to indicate that this isn’t a problem, both from an airline rules and physics perspective. But I am still worried about anything that might happen due to low pressure or temperature on the flight. Do you have any tips or warnings for air travel with precious beer? I’ll give you my tried-and-true method for beer-packing, then share some tips from other beer friends, too. Enjoy the friendly skies! My method: Wrap that bottle or can in a Ziploc bag just in case, then secure with a rubber band, then wrap it in squishy clothes like a sweatshirt or sweater. Make sure to place the beer bundle in the center of your suitcase. 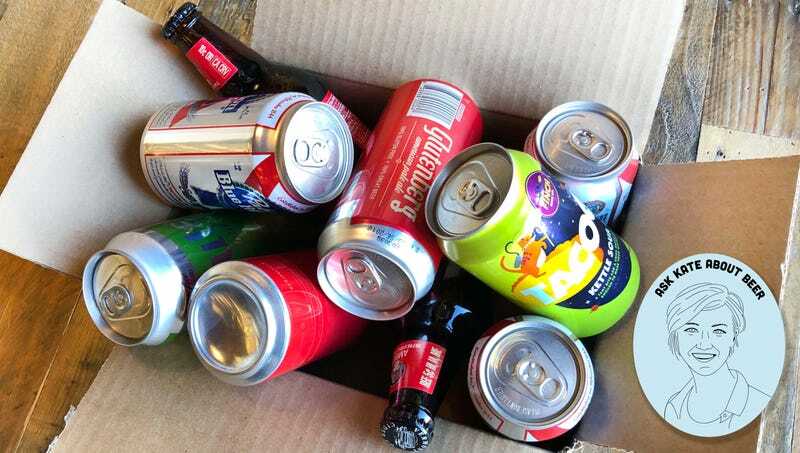 Corey Regini, brewing supervisor at Athens, Georgia’s Terrapin Brewing, says that if you’re planning to transport a decent amount of beer, a dedicated beer box might be your best bet: “A great option which I have used several times is to pack a Styrofoam cooler. It’s best if you can find a snug box for it to fit in as that will help it stay intact while making it through checked baggage.” Otherwise, a hard-sided suitcase is her go-to. As the co-founder of Sheridan, Wyoming’s Black Tooth Brewing, Tim Barnes says he’s flown on “some of the smallest and sketchiest planes the FAA will ever allow out here in the wild West.” He’s a big fan of traveling with beer, and recommends sneakers or shoes as a cushioned cradle, or wrapping each bottle in its own piece of your clothing. An avid hiker and camper, co-founder of Pittsburgh’s Cinderlands Beer Co., Paul Schneider, says he’s learned how best to layer beer in a backpack or suitcase: “Every can or bottle gets its own layer of a shirt or pants, then a mid-layer of clothing between beers keeps them from bumping into each other, and a shell of soft stuff between all that and the outside of my pack keeps them protected from impact.” Also, if you’re camping, he notes that every beer you bring is a weight-to-benefit calculation, so make sure the few precious beers you bring are truly delicious. Previous articleWhat to Pack for Vietnam in February?